Do you ever get uncomfortable with your own comfort? Every once in a while, I wonder if I’m missing out in the deeper, harder joys of life by living in such ease. 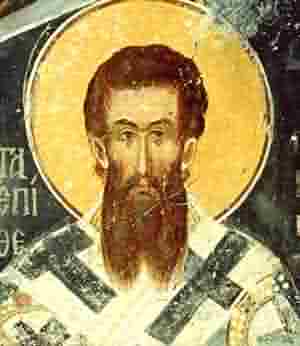 For example, the Life of John the Almsgiver (Patriarch of Alexandria 606-616) tells some fairly remarkable stories about this man. Once, he was given a quilt worth 36 nomismata, a fairly tidy sum. At the behest of the giver, he slept under it for the first night, but was tossing and turning all night with guilt that the money could have been better spent. So, the next morning, he sold it, bought four rough blankets for 1 nomisma, and gave the other 35 to the poor. They tell a story about St. Francis (I think I read it in John Michael Talbot’s book The Lessons of Saint Francis, however it may be from the Little Flowers) that one day he was given a cloak by the brothers, not being the sort of person to wear a cloak, and the weather being cold. Submitting himself to the will of the brothers, he wore this cloak — until he saw a poor, poverty-stricken soul shivering in the winter cold. Thereupon, the goodly saint divested himself of the cloak. According to the grand scheme of Aquinas’ Summa Theologiae, true happiness and contentment are found in union with God. God is Christ (the whole point of the Nicene Controversy that occupied much of the Church’s time in the fourth century), and Christ tells us that we will find Him in the poor, the naked, the hungry, the prisoner. A lot of people these days are really stoked about “narrative” and “narrative theology” and suchlike things. I remember once at a party a guy who worked for the Canadian Bible Society remarking that the Gospel could never be put into propositional statements because Jesus taught in parables. Given that that was a propositional statement, I was amused. Given also that the content of the Gospel is not Jesus’ parables but his life, I was a bit irked. A lot of people try to pit narrative against proposition, though. This is wrongheaded, as Edith M. Humphrey (once Anglican, now Orthodox [yes, I’ll mention that every time I mention her]) notes in her book Ecstasy and Intimacy. We need both. We need balance. In Step 4, about obedience, St. John Climacus, Father of the Church, demonstrates the usefulness of both ways of presenting truth. Approximately half of this Step on the ladder to paradise is occupied with stories about a monastery John once visited in Alexandria. He was filled with wonder at what he saw there. The monks lived in obedience to their abbot to a very high degree. To test them, he would make them lie on the ground for undetermined lengths of time just to see if they would do it. Once, to see if a postulant was worthy of admission, he made this man, a former fornicator (with both humans and animals), thief, and liar confess in detail his deeds before all the brothers at Divine Liturgy. Brothers who were disobedient enough were cast out or sent into the Prison where they only got bread and raw vegetables for food. The monks were also obedient to one another and sought to outdo each other in virtue and in bearing one another’s burdens, claiming the sins of others for themselves to help brothers avoid punishment. The result of this radical obedience was great virtue. John writes, “If they had to speak, what they talked about all the time was the remembrance of death and the thought of everlasting judgment.” (95, Classics of Western Spirituality translation) The advanced brothers were so humble that, when asked about hesychia by John, they claimed to be merely corporeal men with no knowledge of such things. These men were calm of heart, humble, meek, pure. 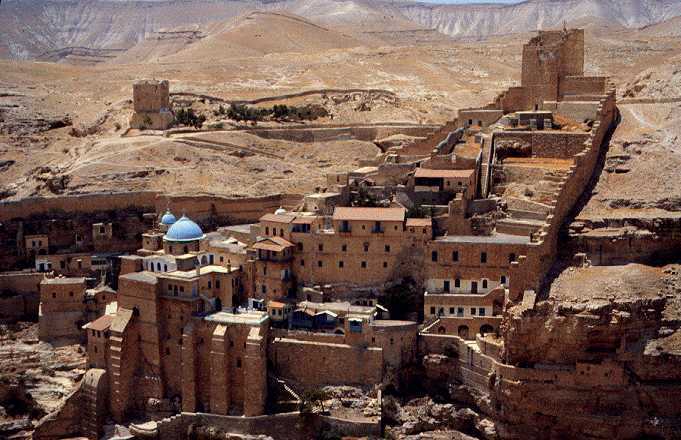 The longer they lived in the monastery, they less they were involved in backbiting and prideful actions. Now, I’m not sure if I can handle such radical obedience. But imagine if we tried to do things for people without grumbling or complaining (cf. Philippians!). Imagine if we tried to be the servant of all (cf. Mark!). Imagine if, when asked to do something that is largely indifferent, we did it, seeing it as a way of learning humility. Imagine if we saw everyone around us as Kings and Queens. Or, to take another image, imagine if we saw them as Christs (cf. Matthew! Also, John of Ephesus, Lives of Eastern Saints, Chapter 5 about Simeon & Sergius, Patrologia Orientalis 17, pp. 84-89) rather than as nuisances. I like this technique, this balance between narrative and proposition. Western preaching has swung too far to the propositional, but I do not think it should be lost. We should find, however, a place for deep and meaningful storytelling in our teaching, as we see St. John Climacus doing in Step 4.